Enjoy a relaxing voyage aboard an authentic schooner. From the deck of the ship, take in the beauty of the city's skyline and admire the gorgeous water of the Inner Harbor. Experience the calming atmosphere of the harbor and the schooner as you sail through the water. 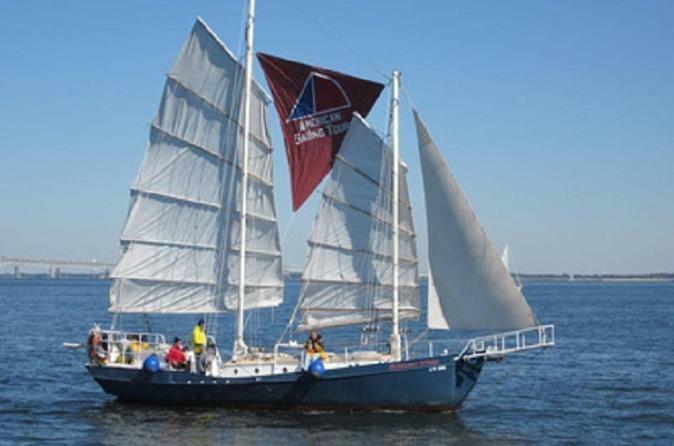 Make an unforgettable memory on this 1.5-hour sailing experience in Baltimore's Inner Harbor. Please arrive 15 minutes prior to departure time for boarding. A crew member will meet you at the gate. The boat does leave on time.